Powered by Mom Blog brings you our Kid’s Holiday Gift Guide! We’ve got a wonderful mix of toys, games and so much more on our Gift Guide to help give you some ideas of what the kids may want this year! We’ll be adding to this list even more AND yes there will be some giveaways coming up later in November so make sure to keep checking back! 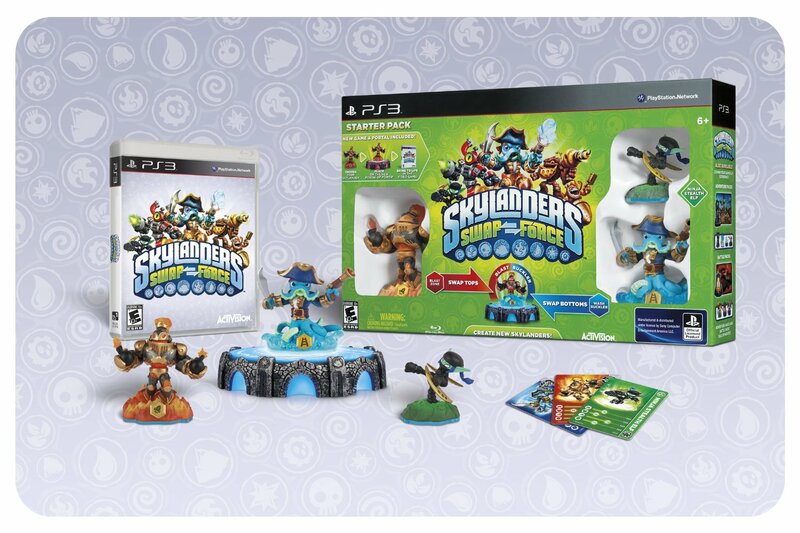 Powered by Mom Blog and family agree that the Skylanders Swap Force are one of our top choices for toys. My daughter has been addicted to Skylanders for a couple of years and she was over the moon to receive the new and cool Swap Force Starter set! Skylanders: Swap Force has an awesome a new twist! Character figures that you can swap their components amongst each other creating new and varied combinations of characters. How cool is that as if Skylanders wasn’t already a ton of fun this new twist sparks the imaginations even more in children and adults alike! Beatrix Girl Dolls – they get a two thumbs up from Powered by Mom as one of THE hot toys! The Beatrix Girls are definitely at the top of the list for girls for this season and beyond! These cute and fashionable and musically inclined 12 “2 dolls are so much more than that they are rock stars! Oh yes they are!! The Beatrix Girls are definitely at the top of the list for girls for this season and beyond! These cute and fashionable and musically inclined 12 “2 dolls are so much more than that they are rock stars! Oh yes they are!! 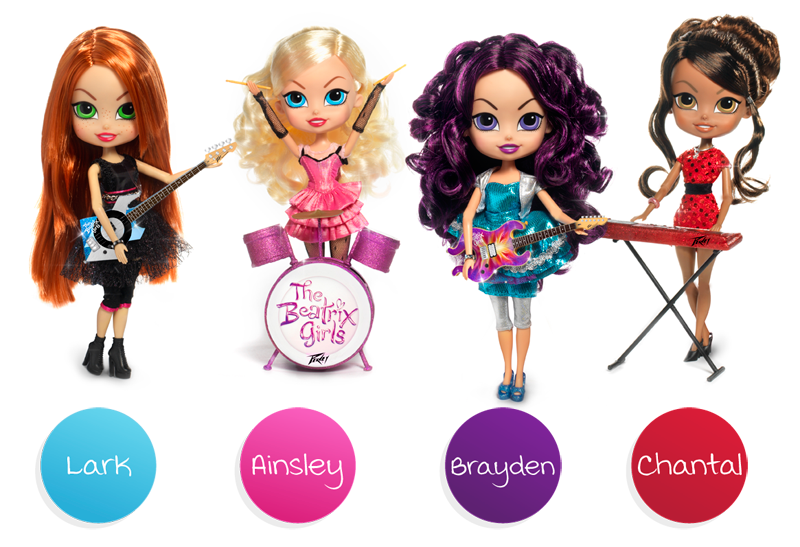 The Beatrix Girls consist of 4 band members Brayden, Ainsley, Lark and Chantal who live and interact in the human world and they create and share real music with their fans. Kids can collect their music and join their fan club and so much more! The Beatrix Girls debut album “Meet the Beatrix,” is now available on iTunes, Amazon Mp3 Store, Spotify, Pandora and all digital music outlets. The PlayMG is the The Non-Smartphone, Smartphone. Giveaway starts 12/18 @ 7pm PDT GO HERE when it’s live ends 12/28 US Only. It’s one cool pocketable all-in-one entertainment system specifically designed for young people who do not have a smartphone. With no monthly charges or expensive cartridge games to buy, PlayMG enables you to enter the world of portable “freemium” apps via the Google Play platform. 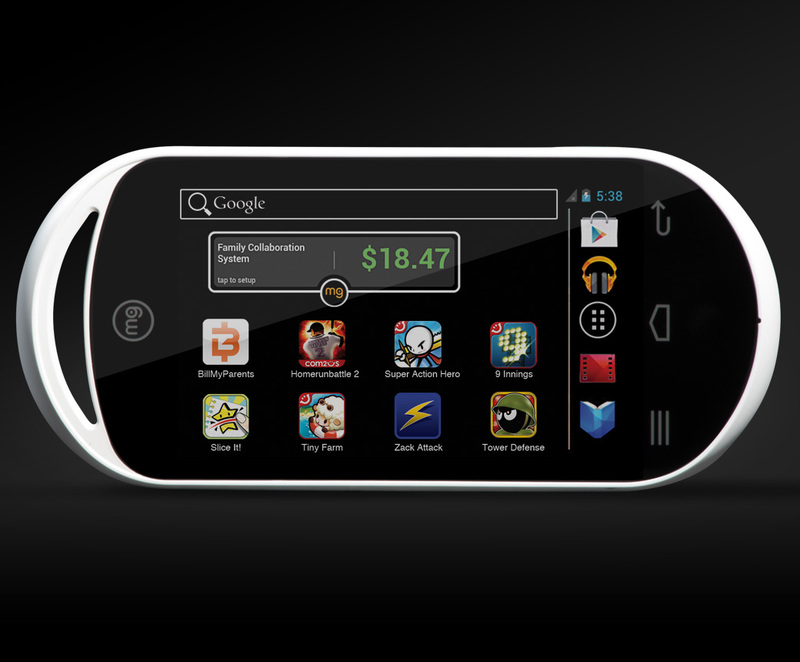 With PlayMG, young people get their own smart-device and parents get their smartphones back! Neat-Oh products are definitely neato! Each product is more than it seems! This Barbie Clutch is more than just a clutch. 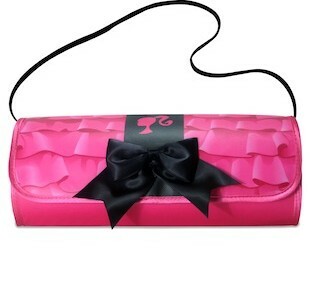 When girls open it they will be delighted to find a cool surprise and how this clutch doubles as a toy! When it’s opened up the clutch is also Barbie’s closet! How cool is that?! Every product at Neat-Oh seems to have more than one way to delight children and parents making them an excellent choice price wise. 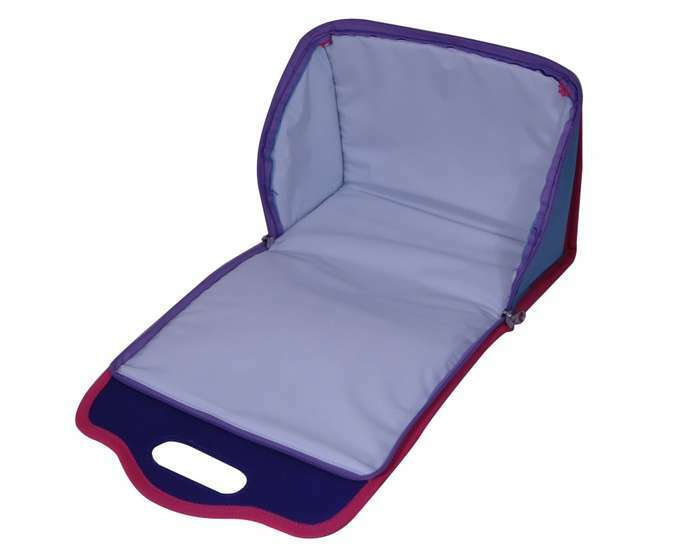 This clutch for example is ONLY $14.99 which is a great price for it’s function as a clutch but as a toy too WOW. Young girls everywhere will delight in this neat product! we were so excited to get the two disc collection of The Little Mermaid II and Ariel’s Beginnings. It’s a lot of fun as in Ariel’s beginnings it’s a prequel where we get to watch Ariel when she’s younger hanging out with her sisters, being a teenager and trying to figure out dad as much as he’s trying to figure her out. She discovers that her dad has a big secret he LOVES music yet he was the one to forbid it in the kingdom. Are you wondering why? If you haven’t seen the movie and shared it with your family then you’re going to want to so you can find out! Now here’s a fun toy the kids will love it’s a Robot that dances to the beat of the music. The stronger the beat, the better the robots move! It even has lively facial expressions and the latest robotic technology. Believe it or not it’s not that expensive either I’ve seen it for under $40 on Amazon although they were on backorder so you might want to get an order in now to get it for Christmas. We’ll let you know where else you can get it as soon as we have a list, coming soon! You can never go wrong with anything Disney especially when it’s Mickey Mouse! Right now this wonderful special edition is available on Amazon for ONLY $19.99! GO HERE to purchase in time for Christmas! Make the season merry as Mickey, Goofy, Donald and all their pals star in a heartwarming retelling of Dickens’ unforgettable holiday tale. Ebenezer Scrooge (Scrooge McDuck) is far too greedy to understand that Christmas is a time for kindness and generosity. But with the guidance of some wise ghosts (Goofy and Jiminy Cricket) and a bunch of newfound friends, Scrooge learns to embrace the spirit of the season. Share this wonderful holiday treat with the whole family. The Furby Boom appeals to the children in our family from our nieces and nephews four years old and up to even my 12 year old daughter is enjoying her Furby Boom! Oh what fun you and the kids can have with this great kit! How often can you say to the kids let’s make slime, have the toilet bowl bubble (okay not your toilet bowl) and while they’re making gross stuff they’re learning about science too! Build a Bear Workshop is loved by children and parents. They have so many things to select from and your child can customize their wonderful bear, reindeer, snowman (and much more) with their costumes and accessories oh what fun! 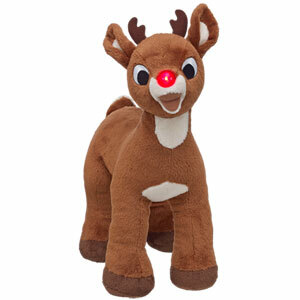 For example the Rudolph the Red Nose Reindeer is a wonderful addition ad his nose does light up. He’s only $25 what a great gift! Here’s a fun toy for the boys it’s the new thing in bow technology with the Z-Tek Bow (don’t worry no pointy arrows here). It has shorter bungees for faster firing and the arrow clips right on the bow for quick reloads and a powerful presence. Includes 1 Z-Tek Bow, 2 Zonic™ Whistling Arrows and 1 Suction-Cup Zartz™ Arrow. The boys can’t have all the fun so here we go it’s Girl Power! Air Huntress delivers a little bit of attitude and a whole lot of fun. 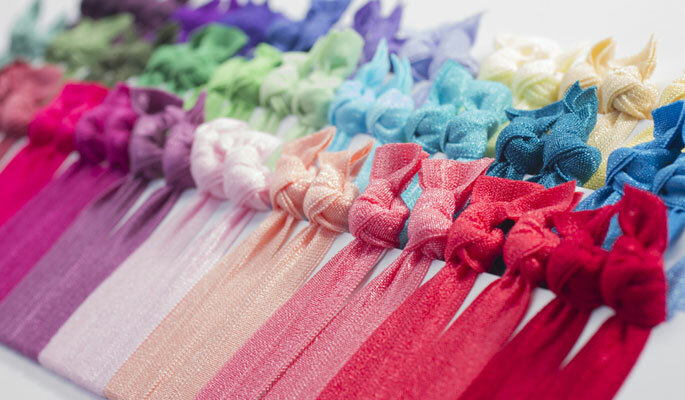 The power packed bows are designed in hot pink and purple – just for girls! And you don’t have to be in the movies to show the boys a thing or two! Become an Air Huntress! 4 of my kids want a furby!!! This is such a neat way to get gift ideas. Thanks for providing it !! I would like the DiscoRobot for my son Luigi. 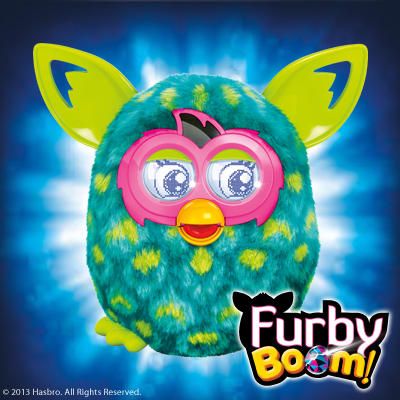 Every kid on Earth seems to want Furby Boom this year! I’m still trying to figure out what it does, lol! I really appreciate all the great gift ideas!! I have a great-nephew that is having his first Christmas and it’s been a long time since I’ve had a reason to shop for toys (my son is 21). I now have some great ideas of stuff to look for and what’s “hot” out there now. Thanks for the chance!!! I think that the Disco Robo or the Furby would be perfect. Thanks for the Post, Links, and the Picture’s. The Demolition Lab: Triple Blast Warehouse is my favorite item on this list. My son would love this toy. she has some of their items. She would also love the Disney since they just went to Disneyworld this summer. Thank you for all the great ideas for gifts! Happy Holidays to all! I would like the Air Huntress bow for my daughter! Wow I didn’t know those Gross Science Lab things were still around! I might have to look into that. I love the Furby Boom. My kids would love to have the Planes Blu Ray combo pack because they can’t stop talking about the movie! All 3 of my girls would love the Furby Boom from Hasbro! I love the Furby Boom. I really hope that a giveaway opens for this item. I love the Doc McStuffins All Better! Game. It would be perfect for my niece. She loves the show! My daughter would probably like the DiscoRobo. The furby!!!! All the toys seem neat though! I like furby boom. Would love to see a great deal on Barbie Dream House or Hotwheels car maker. I like the Disco Robo! I would like to see the Wheely bug added, such a well made and fun ride on toy. My girls would love the Eye Found It game and the Doc McStuffins All Better! game. Those robots are pretty cool! I have a 3 year old and I think he’d love them. But I think they’d appeal to older kids too! I like the Zumba Kids on Wii. I love the assortment of toys you have here. I could take care of 5 grandchildren gifts from your page. Thanks for the wide variety of toys. 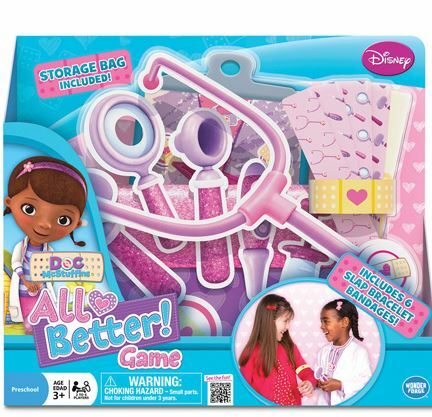 I really like Doc Mcstuffins All Better Game..Looks like such fun!! I think the Z-Tek Bow looks really great for my coming 6 year old. He is always trying to get his hands on his 13 year old brothers bows. We have to lock up the arrows just to be certain no harm comes to anyone! I would like to saee it in person and check out the quality. I’d also like to know where it was made. Thanks for all of the great giveaways! My son’s favorite movie is planes! He’s getting it for Xmas! 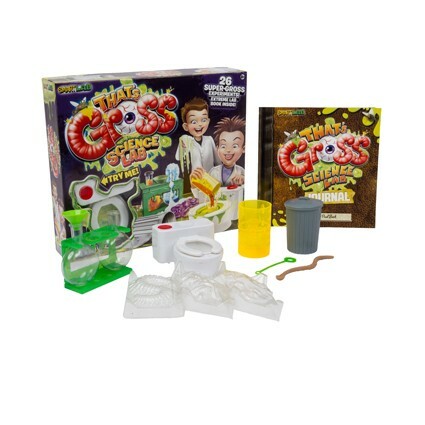 My favorite gift is the That’s Gross Science Lab, I think it sounds like fun! We haven’t seen Planes yet but I am sure that they will want it for Christmas! I love the doc mcstuffins game so cute. THE FURBY BOOM IT JUST SO DANG CUTE, OUR GRAN DAUGHTER WOULD GO CRAZY OVER IT. 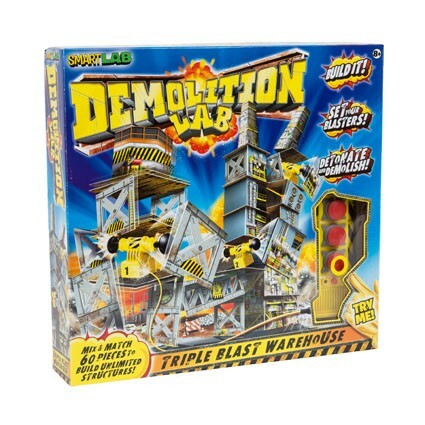 My 10 yr old grandson would like the Demolition Lab: Triple Blast Warehouse and my 4yr old grandson would love Air Storm – Z-Tek Bow. 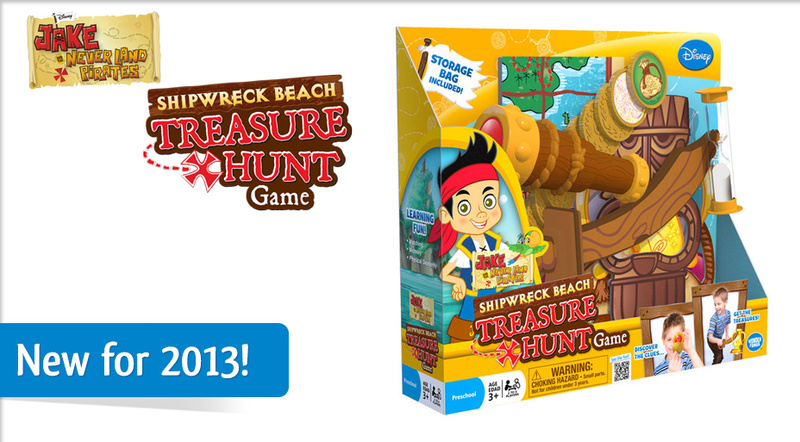 I think The Eye Found it Game by Disney would really keep my Grandchildren Busy.. Me too! !Lol~ I would enjoy looking with them.. I also like the Doc Mcstuffins All Better Set..They would have fun Being Docs! Last but not least the Disco Robots are Adorable. They would be a Big Hit!! The Zumba Kids on Wii would keep my granddaughters happy! They would have so much fun with their friends, too! Oh my gosh my little man would love the furby and my oldest would love that bow, I can only imagine what he would want to shoot with it haha. The planesblue ray pack and the dancing robot would be ideal for my twin boys! My kids would love the Zumba Kids. I didn’t even know that was a game, so thanks so much for sharing. Oh this is so cool 24 bucks off Furby Boom! I like the Doc McStuffin All Better Now game! Dd would love it!!! i love all the kids gift ideas! great site! I love this idea, it’s great! It’s so easy to choose what giveaways you want to enter and even tells you what’s coming up. I would love to get one of the Furbie’s for my granddaughter and maybe one for myself. My girls love puzzles and board games! I think you show a good variety of different toys. Thanks! I love the set up. I love the kids game Disney Eye Found it. 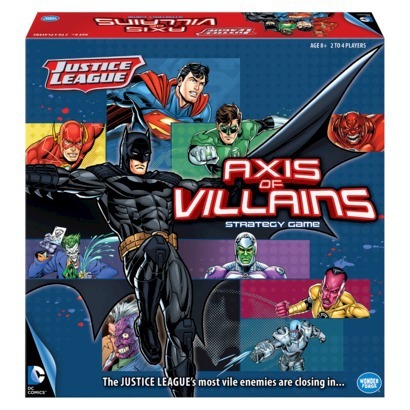 It looks like a fun family game. I love new games for the whole family. I can’t believe that furbys are still around. I do like the new patterns though. Like the Furby Boom from Hasbro, 3 of the girls have this on their list. Great gift ideas for the kids!! I would like to see like to see maybe a leap pad or v reader things like that. i like the furby boom! Well for my baby girl – anything Disney will make her smile so these ideas are great. The Little Mermaid is cool because she carries around her “baby Ariel” wherever we go. Working on our movie collection and adding Planes or Mickey Mouse would also make her extremely happy. I love your holiday gift guide for kids. I have 8 grandkids and I seen some good ideas for them. Furby Boom from Hasbro because I gad a valentines one and would like to give my 2 3 year old granddaughters one each, so much fun!!!! I love the Furby Boom from Hasbro. Love gift guides. I always get some great ideas that I wouldn’t have come up with otherwise! My grandson would love the That’s Gross Science Lab! I might have to get the That’s Gross Science Lab for my son or my nephews. The CyndiBands look like they’d make great stocking stuffers for my girls! Some really awesome ideas!!! I know my son would love the Disne Eye Found It. 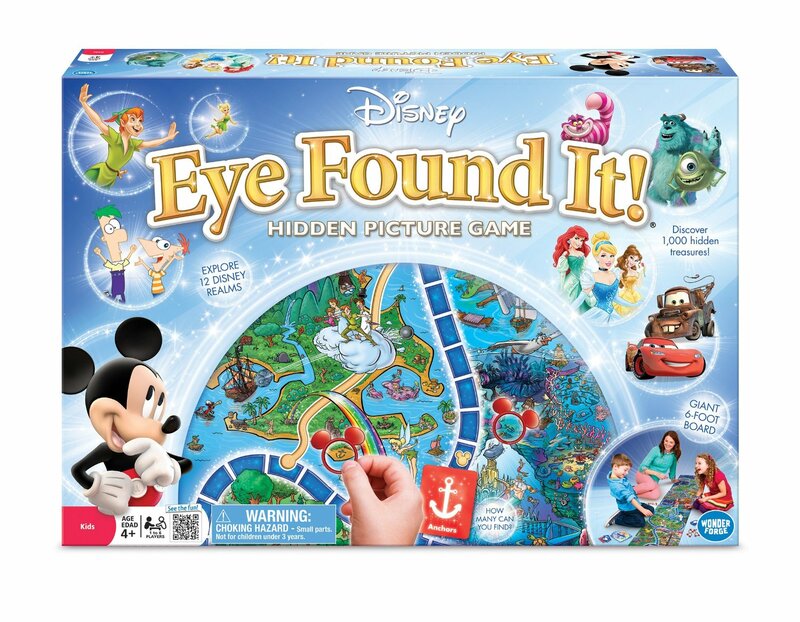 Disney Eye Found it Game is one I definately want to get for my grandson. He loves to look and search for pictures.I know he is going to have so much fun with this one and shouting I found it ! 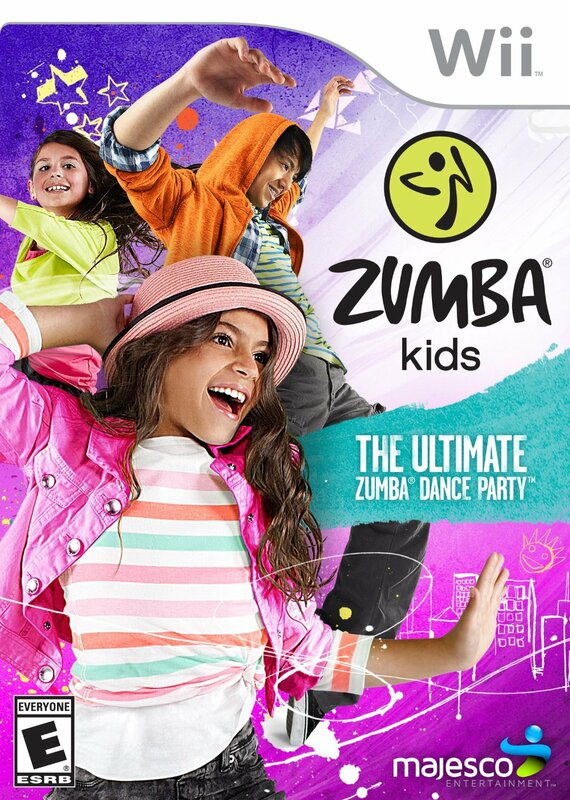 I had no idea they had Zumba for kids…I think my daughter would love that. Also really like the Doc McStuffins game. Thanks for the gift ideas. What a lot of great ideas. I like the zumba for kids. What a great fun way for them to get much need exercise. What a lot of great gift ideas. 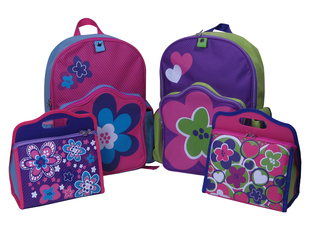 I love the Furby and the Neat-Oh Blossom Bags for a couple of my grandchildren and I know they would love the Disney Eye Found It Game too. I would love to get the furby for my daughter. She’s quite curious about them. My grand daughter LOVES mickey mouse!! i dont think mickey will EVER go out! will always be a hit toy, movie, etc.! Love the Klondike bar game! My kids would love the zumba wii game. I like eye found it game! The Furby is a great idea! These are great gift ideals!! My son would really enjoy the Demolition Lab. It looks really fun to! !